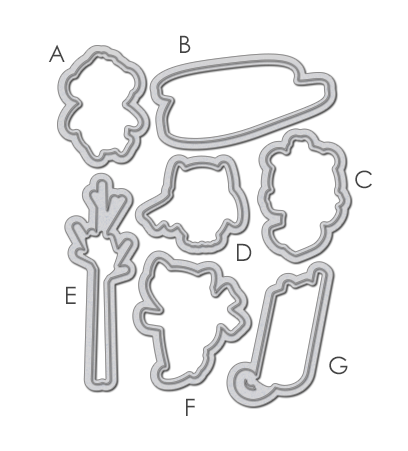 Welcome to Day 1 December 2014 Release Previews, remember all new products will be available for purchase on December 5th, 2014. To begin my card, first stamped the tree image to create my winter scene background. Then I adhere the slope I die-cut using the Wplus9 Landscape Border dies and adhere some Martha Stewart coarse glitter. After stamping the trees I then watercolored each image. Next, I stamped the Fox and the block of ice image colored and die-cut and adhere on the card with foam tape. Next, stamped the bear, sleigh, and colored it with Copics. Next, I die-cut them with this coordinating dies, but before adhering with foam tape I also colored the ground with Copics in grey and added more Stickles on the ground. Its the same process I used for my penguin, also colored the ground with grey Copics and added some Stickles. 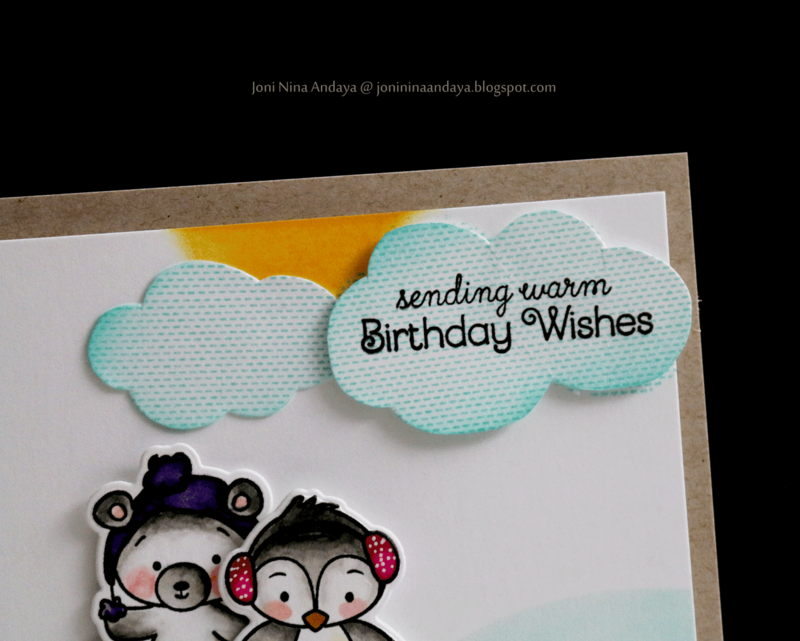 For my next project I also used the clouds from Heartfelt Mix stamp set and Birthday Basics dies. To begin I first stamped the clouds on a separate cardstock then fussy cut. This clouds have its coordinating die-cut but opt it out this time. I then added the sentiment "Sending warm Birthday Wishes" but before adhering the clouds I first distress the top portion to create a sun background for the clouds. Next I stamped, colored, and die-cut my images, then adhere on the card. The blue slope you see on the background is also from the Landscape Border dies that I masked and distress with Distress ink. The gift die-cut is also colored with copics then I added some natural twine and adhere the knot on penguin as if he is trying to fish the gift out of the water, if there is anything such a thing but I think its really fun this way :). Soooooo adorable! I loveeeeeeee the critters!!!!!! Wow..These cards are so adorable ! These are BEAUTIFUL and so cute!!! 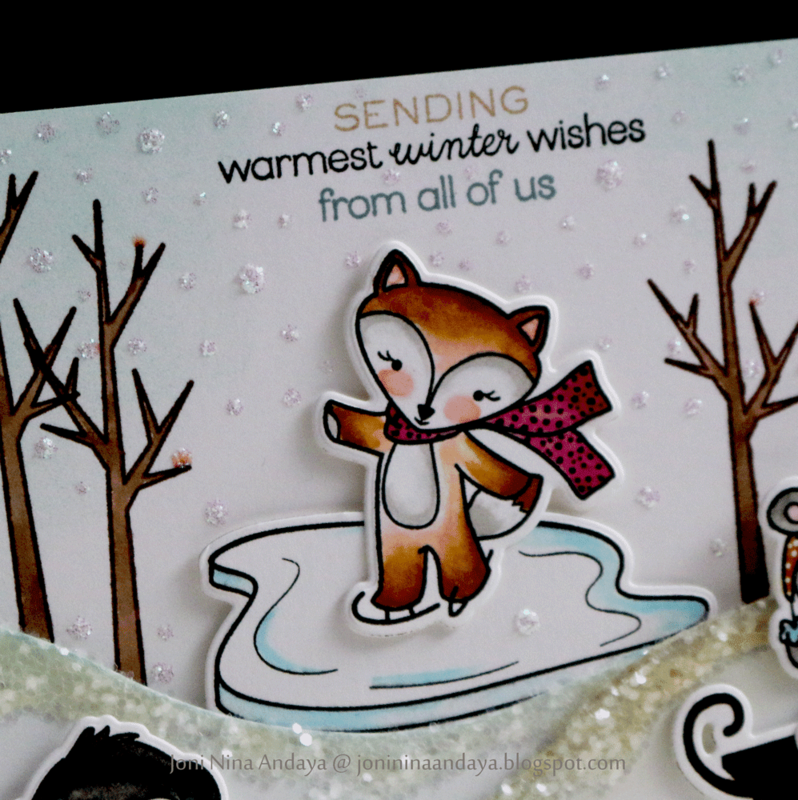 Fabulous use of glitter and love the coloring of the cute Winter Pals! So beautiful Joni!! So much detail!! LOVE these so much Joni!! Oh my goodness these are absolutely beautiful and adorable card!! Just love them! What great little scenes you created! Thank you for sharing! 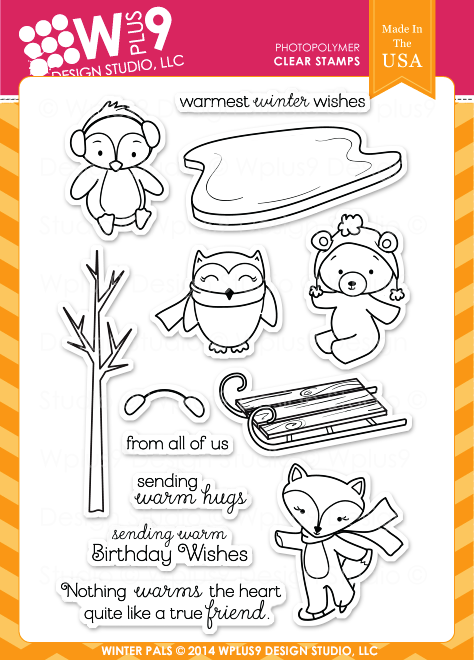 Absolutely darling cards, I love the one with all three little critters and how precious they are. Great work! Great job!, who wouldn't love receiving these cards? I DID enjoy your work. The cards are darling and the coloring is so well done. you did it again Joni...knocked my socks off!! Oh my gosh!! SO CUTE!!! LOVE these little critters!! The sled and the penguins are my favorite! !